Dr. Patricia Wheeler is Managing Partner of The Levin Group LLC, a leadership advisory firm with extensive experience within complex organizations. An expert in leadership development and executive coaching, she has more than twenty years of experience focused on helping smart, technically talented executives become more effective leaders, creating high performing teams and developing organizational talent and “bench strength.” She works with leaders around the world helping them hone their skills, competencies and executive presence. Patricia specializes in executive assessment and feedback, executive coaching, developing high performing senior teams, and talent engagement. She has assisted hundreds of senior leaders and their teams become even more effective as they face their current and emerging challenges. She is known for her experience and research in executive transitions, helping leaders maximize success in bigger and broader roles, and for helping leaders succeed and drive business results in times of rapid change and complexity. She created the FastForward transition program for senior leaders, which has been used by individuals and organizations across the globe. Prior to her association with The Levin Group, Patricia had ten years of management experience. She served as Associate Professor and Adjunct Professor at Emory University School of Medicine and currently lectures at Georgia State University’s Robinson College of Business. 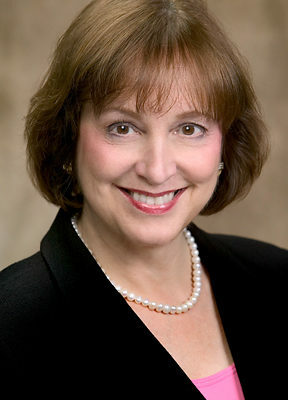 Her work in the area of executive transitions has been published in Forbes, Harvard Business Online and BusinessWeek. She publishes the executive resource Leading News (www.LeadingNews.org) in collaboration with renowned leadership expert Marshall Goldsmith, and is a contributor to the Best Practices in Leadership Development Handbook ,the AMA Handbook of Leadership, Coaching for Leadership, Third Edition and Taking the Stage: Breakthrough Stories From Women Leaders. The Levin Group is pleased to be named a Top 5 Global Consulting Group by Leadership Excellence. Patricia holds a Ph.D. in Psychology from Georgia State University and is a certified MentorCoach. My work with leaders helps them lead effectively through change and challenges and successfully move into bigger and broader roles. As we live in an environment of globalization and constant change, it is no longer enough to do what made us successful in the past; effective leaders must balance between managing the now, the new and the next. Use keywords above to filter coaches. You may search on a type of industry, certification, degree or hobby.